February | 2014 | How to love Igbo things (or what you will). A different kind of job. 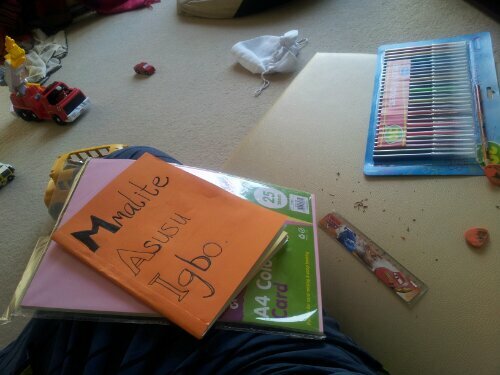 Taking some time out of my day to make Tot an Igbo educational book. 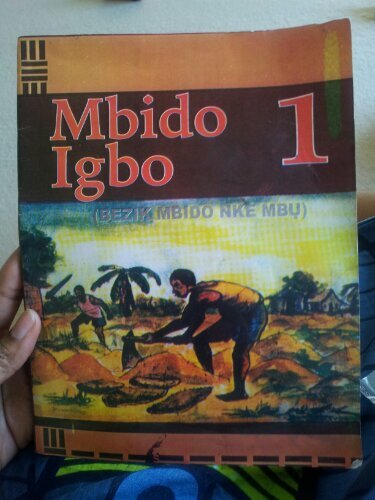 He already has Mbido Igbo 1 but it’s such a shambolic book; cheap paper, pictures not clear, just terrible. 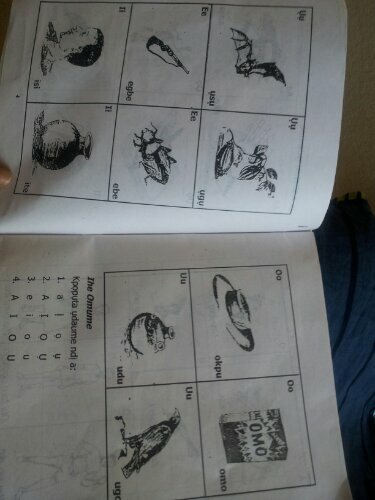 I can’t believe it’s the same book we used in Primary 1. The quality nowadays is just plain awful. Surprisingly it photographs clearer than it actually is. But can you see the drawings on the next page bleeding through? AND CAN YOU SEE ‘O, OMO’? Are these people for real?! Anyway, I can’t do much worse. 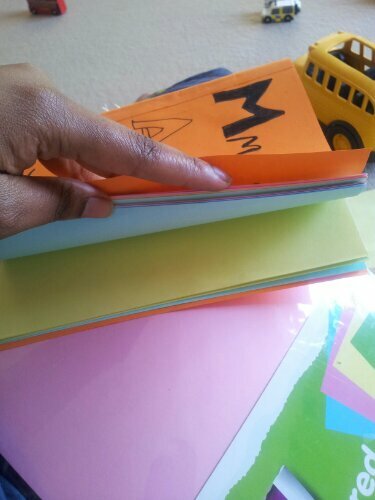 At least mine is already on coloured paper. Much more interesting for a toddler. And I intend to include MODERN contraptions which this book still lacks (no mobile phones for instance). I mean for chrissakes, this is the fourth edition made in 2008 and they’re still counting in kobo. 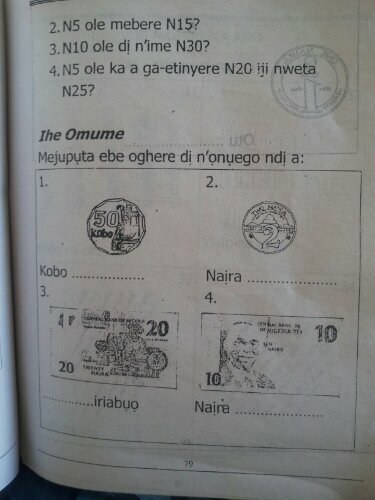 Where will any Nigerian child find kobo these days? Just make them count stones or udara fruits or mangoes or something. Maybe I’ll put it up when it’s done. I’m giving myself 30 minutes a day till it’s finished. My time’s expired now since I blogged instead. Back to writing for me. My lower back aches from all the running around and the standing and the baking I’ve had to do today. It feels a lot being in labour which is fitting because on this day, three years ago, I was. I love villains. And maybe villainy. I was reading my latest rejection email for a short story (I should really have worked on it some more) when these came so I’ve had a bit of a mixed morning. 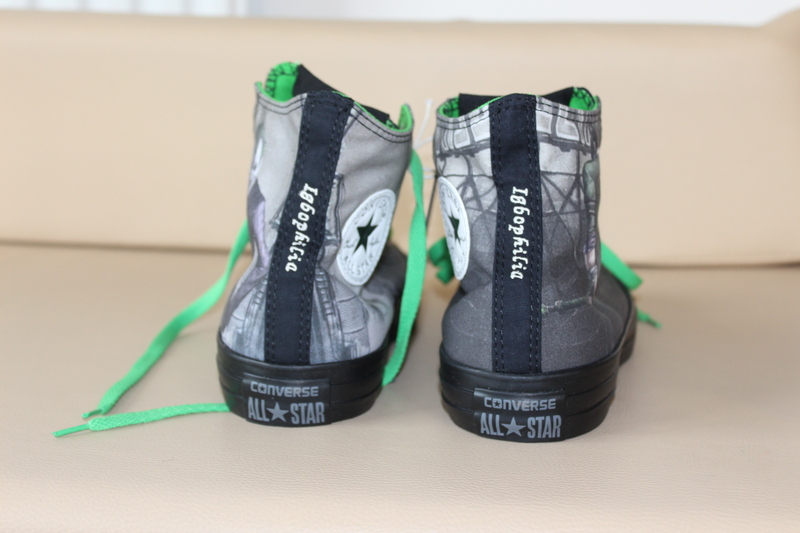 I customised them on Converse UK’s site and sort of forgot all about them in the previous weeks. Now they are here. I am glad I chose to have the villains on. 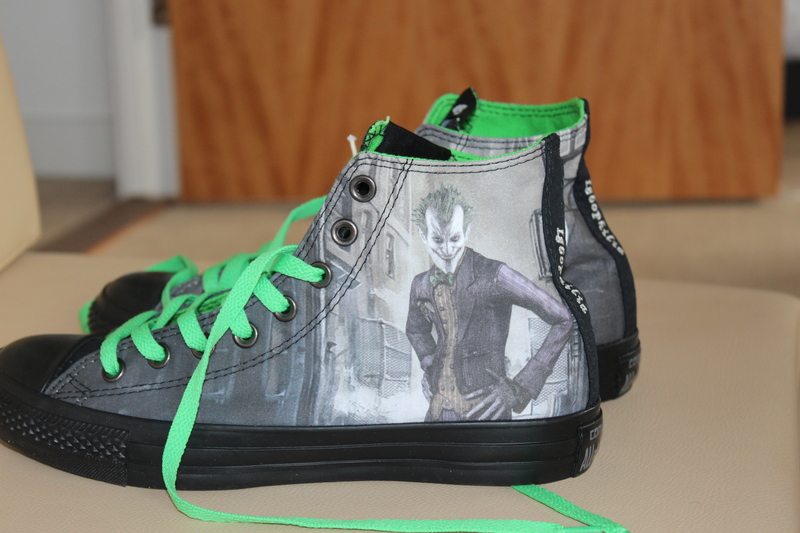 The Joker and The Riddler I have always related to. I like their recklessness, non-conformism, creativity and smarts. The late Heath Ledger has trumped Jack Nicholson as my favourite Joker – the scene where he burns all that money makes something inside me scream hysterically. In pleasure. Let’s not analyse it. 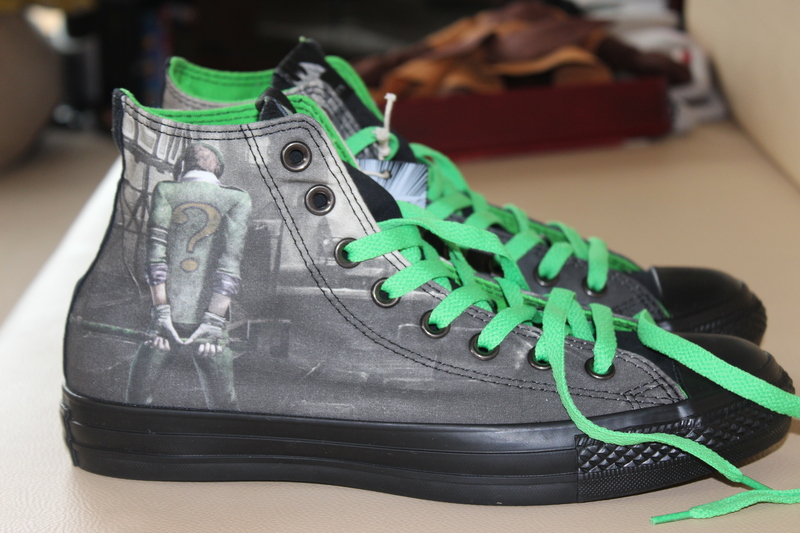 Green is my favourite colour too so the Riddler is right at home. Anyway they came today and I don’t know if it’s all the up-and-down of emotions from my aforementioned mixed morning, but I am beginning to think my blog name tagged to the heel strip might be ever so slightly naff. No? Oh well. 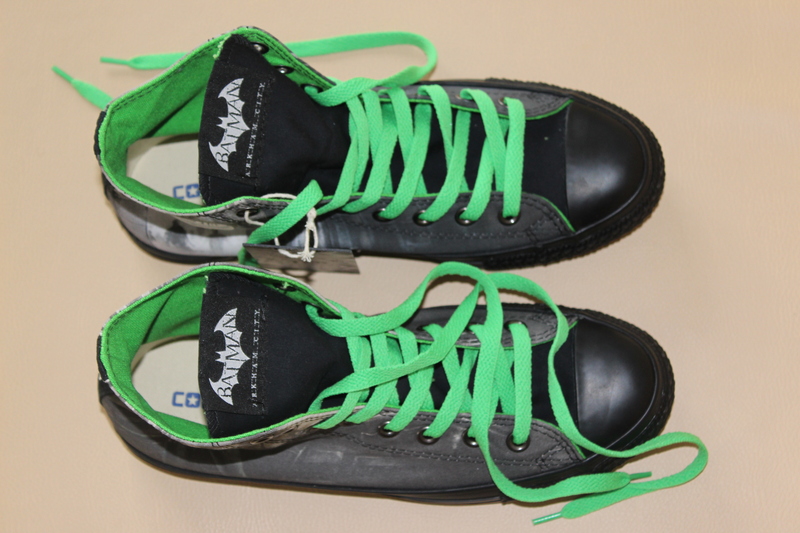 I have to wear them so serves me right. I did earn the cash for them but in my poor-man state they were not cheap so I’m afraid they will be glued to my soles till they fall apart. But hey, at least you’ll know me now. Come say hello if you see me limping along, dragging my broken sneakers behind me. 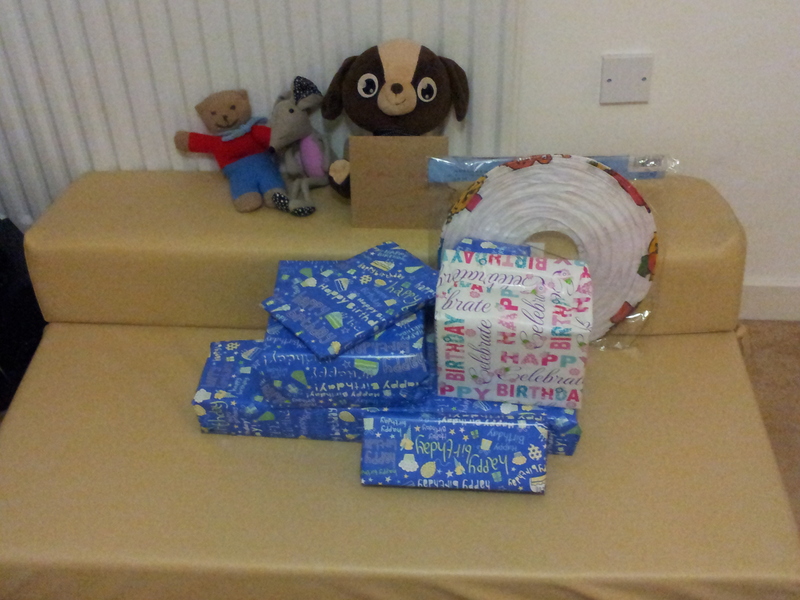 I should probably donate the equivalent amount to charity just to offset this bout of ‘creativity’.